Today I have another quilt to show you from Modern Triangle Quilts. This is Stardust and she will be hanging at QuiltCon next week. The pattern and triangles for Stardust can be found in the Isosceles Triangle Section. For this section, instead of having numerous blocks to play with, I wanted to limit the blocks patterns (there are *only* 16) in order to play with repeating pattern in the quilts. You can maybe see some repeating pattern in Stardust, but other quilts exemplify this a bit better. I’ll show those quilts in the next few weeks. There are 2 sizes of the Isosceles blocks, large and small. Stardust uses the larger 12” triangles. For the Isosceles section, I used a vibrant blue and pale peach palette, like this one. 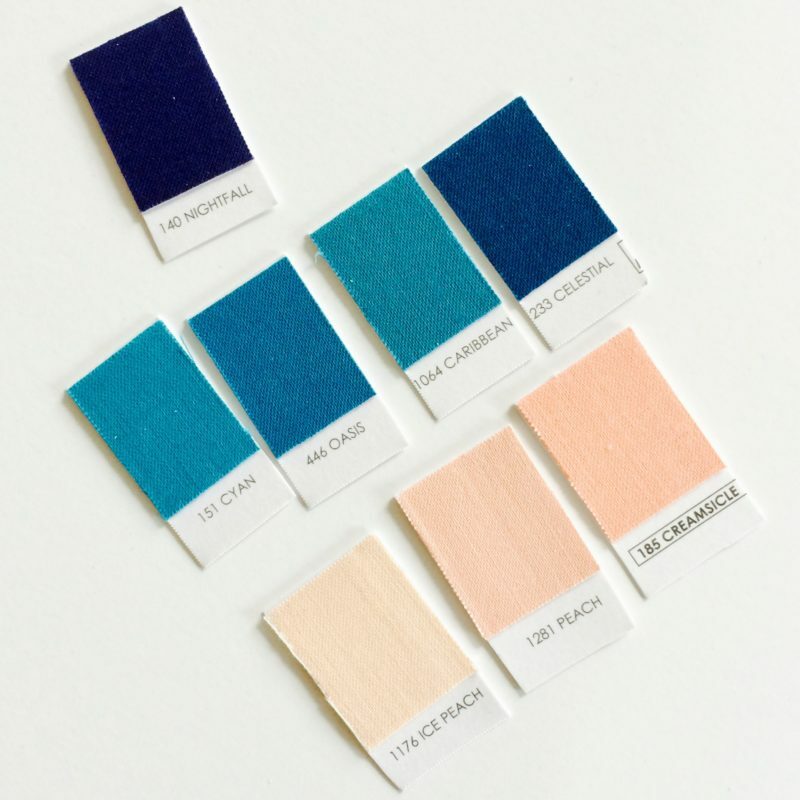 (The full palette information can be found within the pages of the book.) It’s such a fun palette to work with, full of subtle drama. Coming off of using ALL the colors in Modern Rainbow, it was quite hard to choose only a few colors. But once I got to the Isosceles section, which was the last section I worked on, I felt I had found my color stride. I absolutely still love this color palette! With this quilt I wanted to play with the weight of the negative space balanced with by grouping of Triangles. I tied the negative space and the focal points together with the quilting. 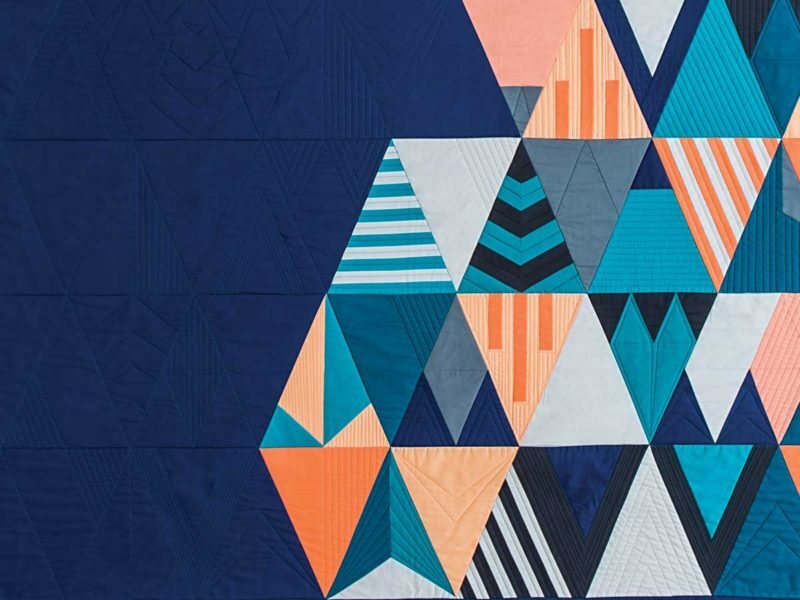 You can see here how I carried the triangle designs over to the dark blue negative space by using similar quilting motifs. Stardust measures 62” x 72”. The triangle block patterns and quilt pattern are found in Modern Triangle Quilts. 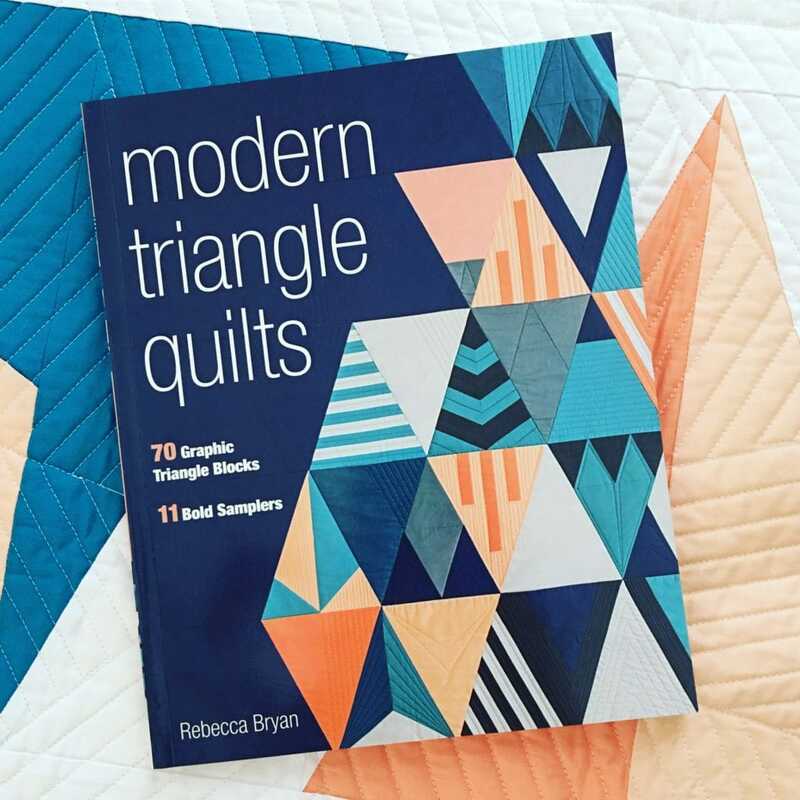 Signed copies of Modern Triangle Quilts are available in my shop and at your local quilt shop. They are also available at Stash Books’ webshop and also Amazon. This is such a beautiful quilt! I adore your rainbow quilts, but your quilts with fewer colors are just as GORGEOUS! The peaches really make the darker colors shine. 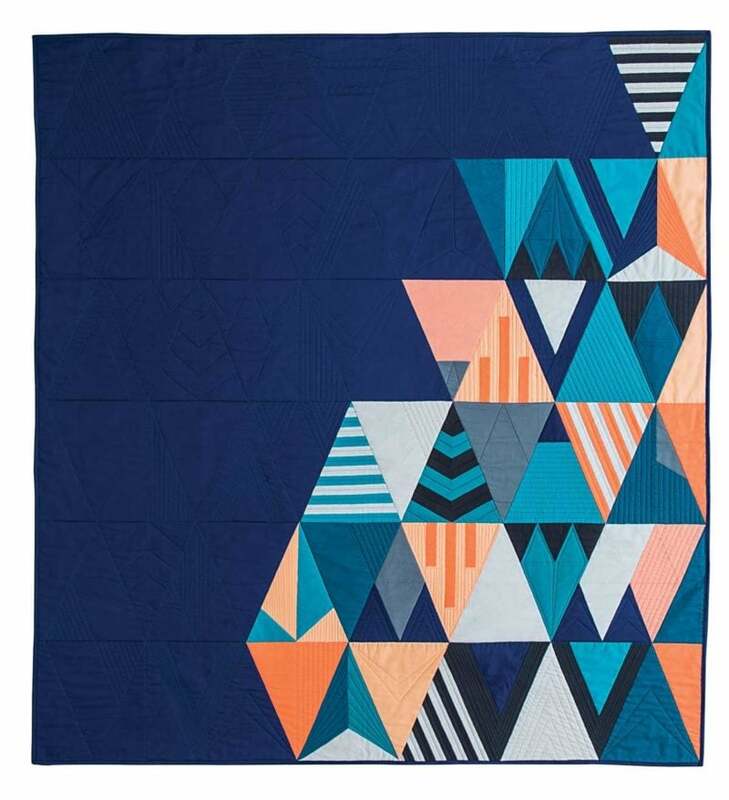 And echoing the triangles in the negative space of the quilt is genius.